The University of Washington is proud to work with Starbucks in a partnership that strengthens our shared vision to serve Washington and the world. Starbucks is a catalyst for promise and potential and its mission is in lock-step with the UW’s purpose to unleash boundless possibilities for everyone, everywhere — starting with our state. As two historic Seattle institutions, our local partnership emboldens our work for the global good. Together we are uniting our goals and initiatives in education, community outreach and sustainability to propel people — and opportunity. Starbucks helps us enrich the Husky experience through connection points both on and off campus. As a global force for innovation, Starbucks inspires leadership development through internship opportunities at the company’s Seattle headquarters and education and mentorship programs like Leadership Firesides and U Lead We Lead. Hear from John Kelly Starbucks senior vice president, Global Responsibility & Public Policy, at a recent session. As a proud supporter of student life events and adventures, you’ll find Starbucks engaging our community during Dawg Daze, W Day, Veterans Week, and volunteering their time and talents alongside Huskies at projects across Seattle during MLK Week of Service. 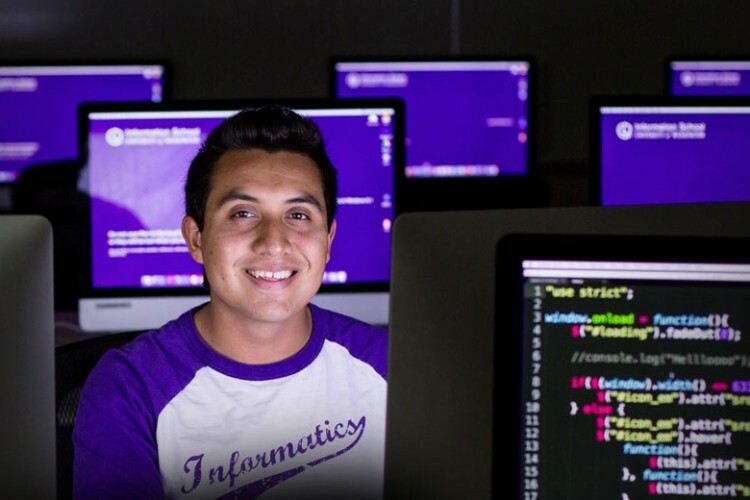 As a Career Center preferred employer, Starbucks hires Huskies who will learn and grow with the company like Stephen Ramirez, ’15. Our public mission drives us to serve our state by providing access to opportunities for all. As a global brand, Starbucks shares that commitment and together we put equity and inclusion at the heart of our work. Starbucks is also creating possibilities by providing student scholarships to underrepresented students through the Office of Minority Affairs & Diversity. 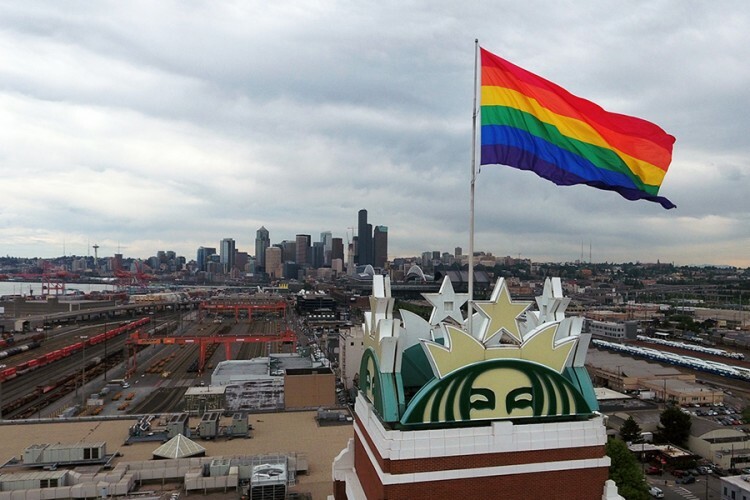 Read more about Starbucks’ long-standing commitment to inclusion. 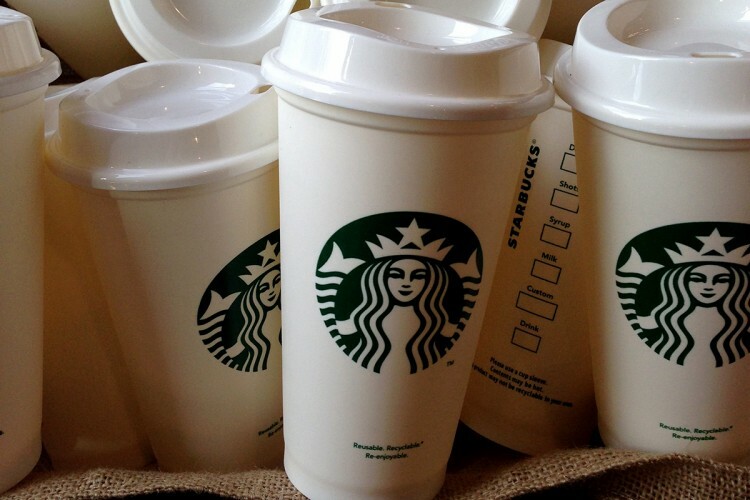 Environmental sustainability is a core tenet of the mission and values of both the UW and Starbucks. Our shared commitment includes building LEED-certified structures, as well as research and innovation in clean water and climate change. Our work has led to a natural partnership with UW conservationists and students through the Environmental Innovation Challenge as well as Earth Day celebrations. See what happened at the first UW-Starbucks Earth Day of Service at the UW Center for Urban Horticulture. The UW is proud of the past, present and future collaborations with Starbucks. Since 2012, we have been combining our time, talent and resources to work for a world of good. Starbucks is committed to farmers and their futures by ethically sourcing 100 percent of its coffee. Students and faculty can enjoy Starbucks coffee at UW Housing & Food Services’ locations across campus. Also, check out the first full-service Starbucks store at the UW HUB and keep an eye out for future locations. For nearly a century, Suzzallo Library has been a cathedral of learning — and community. The Suzzallo Starbucks café is one of the largest the company has ever built, with plenty of room for students and scholars to sit and study.